It's official, we are now in November which means it's finally okay to start thinking more and more about Christmas. That warm smell of freshly cut pine from the tree, lots of cooking, crafting and all that fun festive jazz. 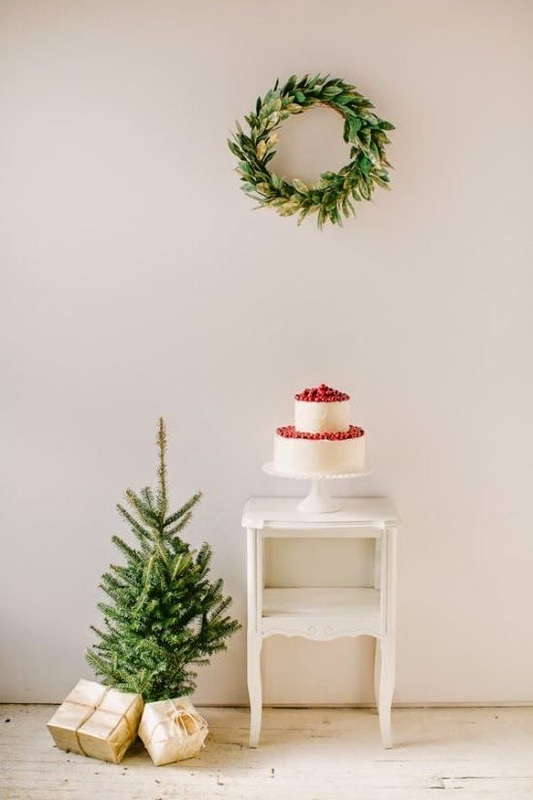 I thought I would go into it lightly with my first Christmasy post but just sharing a few inspirational piccies with you as well as giving one of our readers the chance to win £300 in high street vouchers -which would go a long way to getting those loved ones some lovely bits and bobs this year. Now to the exciting part - the giveaway. To celebrate more than one million customers signing up to E.ON Rewards, they are giving away a share of one million Tesco Clubcard points to a few lucky customers. To win £300 high street vouchers with E.ON and Side Street Style, simply tell us what you would do with one million Tesco Clubcard points. Would you splurgeon Christmas? Or pay for a lifetime of weekly food shops?Whatever it is – we want to hear about it. I'd take my nephew on a toy shopping spree ! I would take all the family (including cousins,aunts and uncles) on a fun day out and then the next day we would all go for a huge family meal. Spend it on making Christmas 2014 the best ever! Lots of gifts and treats for my family and our home! I'd get some baby essentials (and non-essentials!) as I'm expecting baby#2 in early December. A million points? That's about £10,000 worth, if you don't double them up isn't it? That would be food shopping AND Christmas treats sorted for several years! Christmas present and a holiday. Oh great competition. I would get some new Christmas decorations as ours are looking very tired! I'd definitely splurge on Christmas presents! I would get some Christmas treats to make it really special this year and save the rest for food shopping. i think we'd use it mostly for groceries, but have a couple little splurges and some christmas presents for others too. I'd do my christmas food shop and buy the kids new clothes and toys too. Definitely a luxurious Christmas! Great giveaway, do come and share it on my November Competition Time Linky if you have a sec. I'd spend it on presents for friends & family. Well I'm not quite sure what a million club card points are worth, but it would be very nice to have to pay for food for a while. I'd use them in the double up promotions to buy some great treats for all the family. Wow, now that would be amazing. I'd use it for my weekly food shop for the next year. And I'd also treat us all to some new clothes and toys for the kids. Definitely it would go on xmas pressies it's always so expensive! I'd use them on household items (e.g. a new fridge), Christmas food and presents - and I'd use some on a holiday deal. Sorry forgot to put Hazel Rea - @beachrambler in that previous post. Put it towards updating our house bits and wardrobes! It would cover Christmas and so much more and I would refurnish our bedroom :-) Brilliant competition :-) All entered, thank you very much! Spend them on Christmas gifts. Buy food so I don't starve. I'd stock up for christmas with food and gifts. I usually end up buying 200 video games over the lifetime of a games console (big collector), 1,000,000 points would just about cover that over the next several years. With a bit left over for chocolate. It would certainly pay for Christmas. Not sure what I would do with what was left over. I'd spend it on furniture and a tablet. I would use them, a Spending Spree :- Brill. Especially with Christmas coming soon. Shopping for food, treats, gifts etc. Would be Wonderful for family and friends (me included). Have a lovely christmas and also exchange some of them for merlin passes too! I would spend it on updating my parents kitchen and home. put it towards a dream christmas! I would use it for an amazing Christmas! Have a great time with my family and not worry about the bank manager or January bills x! I would stock up on all the Christmas food and drink. I would take my best friend to London and treat ourselves in Michael Kors. Christmas shopping - presents, food, decorations, the lot! Free weekly shop for years! I would help my brother out with anything he needed for his new house. I would buy lots of food for Christmas! buy some lovely gifts for my children for Christmas. I would get a Cineworld Unlimited card as they have that under the Boost section. And then some goodies for my family for Xmas! I'd convert them to Avios points and travel the world first class! I would probably take my family on a trip there and treat them to whatever they wanted. I would use it for Christmas shopping and presents and have the best Christmas ever! I would buy all the things on my wish list and then buy my self a new set of car mats (man of simple things). Christmas shopping spree & munchies! Buy all my Christmas pressies and enough food for everyone! It would cover all my Christmas shopping!! I would treat every member of my family to something they really really wanted for Xmas! Mainly for the grocery shopping with a few other treats thrown in. Buy a case of Champagne! I would convert mine to Airmiles with Clubcard rewards and take my son somewhere! I think I have to have a new kitchen and make sure that the family had a brilliant Christmas - lots of food, wine and gifts. I would do all my christmas shopping. Gosh, thats a lot. I would spread it around - sharing some with my family and friends - and some for us. For us, I would buy prezzies and food. I would smarten the house up and get the family the latest electrical gadgets ...would feel like a millionaire ! Blimey 1 million. I'd sort Christmas out for everybody and hopefully have a few left for the new year. I'd probably spend it on homeware as our new flat is looking pretty sparse! What size turkey can you get for those points ? We would have the best christmas ever !! Buy some treats for the family! I would re-decorate the entire house! Lots of luxury foods and new furniture. I would simply use it for everyday groceries, to ease my budget for other essentials. It would certainly make life easier on food bills, clothing and electricals! Christmas pressies & lots of food shops! I'd get a family Merlin Pass! Book a lovely fancy hotel with hotel vouchers! We'd spend most of it in the electronics department and let my daughter go mad buying gadgets !! Buy a decent television and presents for the kids and if you can use them in this department - a new pair of glasses. I would get some presents and food for Christmas. Buy stuff for charity, especially kids stuff, to go to Romania. Get a load of the "top shelf" booze in! Think I'd stock up on clothes in bigger sizes for my daughter, buy a freezer and fill it with meat for the meat eaters and get a couple of pairs of glasses for my husband. I'm not sure what else I would do with it, it would be spent on stuff that doesn't keep. Have a lovely Christmas & spoil all the family!! A tesco club card!! Never had one. I would spend it on Christmas presents and on fun things to do on holidays.